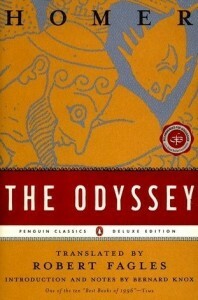 I’ve been blogging about The Odyssey for months, but given what a big reading project it was, I feel it deserves its own recap. Quite simply: everyone should read this book. So much of what we read and enjoy as art, so many of the myths we have internalized so completely we don’t just believe them to be true, we reflex them to be true, (HT Rebecca Goldstein, The Mind-Body Problem), are from this epic. And it is not hard to read. In fact, in Robert Fagle’s translation, and Sir Ian McKellan’s audio version of it (also available on Youtube), it’s not only accessible, but also flat-out enjoyable. I skipped the intro, read the text, then the after-stuff, then went back to the intro, which sent me from liking to loving the book. I wish I’d used the name-pronunciation guide at the end earlier, as some wrong ones are now ingrained (I don’t think I’ll ever be able to pronouce Nausicaa properly–naw SI cay uh, apparently). I followed my reading of Fagles’ translation by reading a version aloud to my boys, 9 and 11. 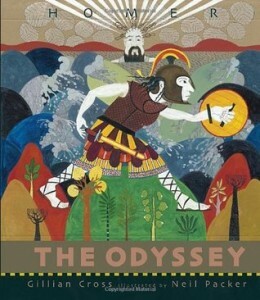 The Odyssey (Graphic Classics) retold by Gillian Cross), illustrated by Neil Packer. We read it over several nights, and my own prior reading of the original was invaluable in pointing out things of interest as we went along. Packer’s art is distinct and intriguing, not kiddy-cutesy at all, and was also a point of discussion as we went. Cross did soften the book some (e.g., said they didn’t kill ALL the suitors!) and I wished for more direct lifts of Homer’s own compelling words, but overall we had a great time reading this together. Ostensibly, I bought Sarah Varon’s graphic novel Bake Sale for my kids, who enjoyed her Robot Dreams and Chicken and Cat books. Really, though, it was at least as much for me. Sarah Varon art and story with recipes? I’m in. Cupcake runs a bakery, is in a band, but dreams of going abroad and meeting his culinary heroine, Turkish Delight. In his quest to meet his idol, his priorities get a bit mixed up (no pun intended, sorry) but his friend Eggplant helps set things straight. Like all of Varon’s work, it’s charming without being twee and emphasizes friendship and loyalty in ways that speak to this adult as well as my kids. Russell Hoban died earlier this month. I read his books about Frances the badger and the out-of-print Emmet Otter’s Jug Band Christmas when I was a child. I read them now to my own children. I watched the Emmet Otter muppet adaptation with my family earlier this month. This lesser-known holiday special was written up both at NPR and the Onion AV Club this year.. I read Hoban’s The Mouse and His Child to my sons earlier this year. And I finally read his cult classic, Riddley Walker, which has now become one of the first books I think about when some book/movie/comic trots out an apocalyptic trope. Hoban’s books have been and are so important to me. I’m sad for his passing, but will continue to celebrate his weird, lovely and wide-spanning works. Via. Milk man is no longer a viable career option. Sadly, neither is cowboy. A few times, I’ve picked a longer, less-illustrated book to read to 5yo Guppy and 7yo Drake at bedtime. Last year, I found a new copy of The Mouse and His Child written by Russell Hoban and illustrated by Caldecott artist David Small in a re-issued edition. I remembered reading it as a girl, and that I liked it, but nothing beyond that. A wind-up mouse and child are displayed in a toy store at Christmastime. They are purchased and taken out into the world, where many strange, wondrous, sad and happy things befall them. This is an often dark book that wanders sometimes in parts that weren’t of interested to me or the boys; visits with a muskrat and a snapping turtle went on too long for us. Yet the story moves along as the two windups are pursued by the villain Manny Rat. 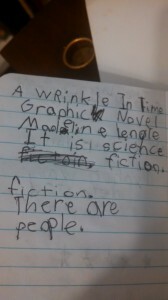 Often when I’d stop reading, 5yo Guppy would be able to say what had happened, or what he thought was going to happen. I figured if he was keeping up, I’d keep going. Both he and Drake said they wanted to hear the story, and in spite of its darkness and sad parts, both boys always said they wanted me to continue reading. They were much more engaged on pages with the lovely black and white illustrations. I was reminded very much of Kate DiCamillo’s The Miraculous Journey of Edward Tulane. Those who find that book too dark and scary, either for themselves or children, would likely not enjoy this book. Conversely, if you liked the complex, mythical tale of Edward, then I think you’ll appreciate this. This is an especially good tale of a devoted father and created families. Move over, Curious George. There’s a new monkey in town. 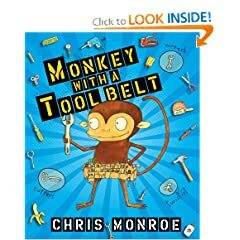 His name is Chico Bon Bon, he is a Monkey with a Tool Belt, and he is AWESOME. Here is Chico Bon Bon. He is a monkey. Chico is a monkey with a tool belt. He is quite handy with tools. He builds and fixes all sorts of things. One day, Chico noticed a banana split on a tiny table across the road from his house. But Chico couldn’t use his tool to FIX the noisy problem, because he couldn’t FIND the noisy problem. The reveal is priceless. My 3 and 6yo boys and I burst out laughing. Monroe’s simple text, funny stories, and distinctive line drawings in bright color have made these new family favorites. It is sunshine time in the house of Meno. We enjoy moo juice and dough with hole. then announces it is time for big fun. 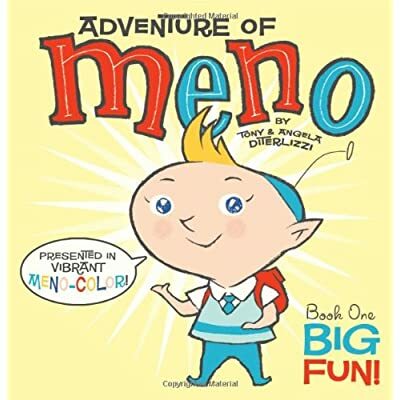 I won’t spoil the joke, but Meno’s idea of fun was very funny to my 3 and 6yo boys. In Wet Friend! Yamagoo wants a sea-faring companion, and several are offered, including one that’s clearly a shout-out joke to parents, as is the fractured English. My 3 and 6yo boys laughed a great deal at the pictures, the silly language, and the jokes. These books are so simple they don’t even have a story, but they nonetheless got picked again and again at bedtime by my boys. We found them bizarre, but entertaining. Public reaction varies widely in the customer reviews at amazon.com, though the editorial reviews are full of praise. Many criticize their lack of story, poor English grammar and toddler humor. Others, as we did, find them weird but funny. You can check out the artwork and style at PlanetMeno.com. Tony DiTerlizzi is the author and illustrator of the Spiderwick Chronicles, but this is for a much younger audience, and was inspired by the couples 2yo daughter. the vivid surprises of child-rearing seem so similar to the vivid surprises of good literature. and offers examples. 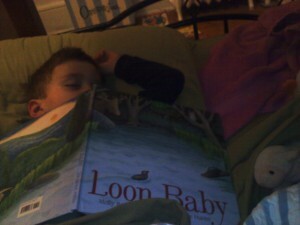 Recently, I was reading The Very Busy Spider to 3yo Guppy, for what may have been the gazillionth time. As happened to Batchelder, though, my kid surprised me when I least expected I could be surprised. In the book, a spider spins a web and a series of farm animals ask if she wants to do something else with them, e.g. Want to roll in the mud, said the pig? After I read one of those questions, Guppy said, “But spiders don’t do that.” It took me a moment to put together that not only was the spider ignoring the questions as she spun her web, but Guppy had just crystallized that what they were asking her to do weren’t things a spider could or would do, until the very end when the rooster asks if she wants to catch a pesky fly. I’d read this book hundreds of times, and Guppy’s statement revealed a whole new facet of the book to me. In past years, G and my parents have sent so many stocking stuffers that we haven’t needed to help. This year was a scaled-back celebration for lots of v. good reasons, so I was on stocking duty for the first time. Friends helped with lots of suggestions, and in the end I put in: a chocolate, a peppermint, a small box of Altoids, a pack of Glee gum, a candy cane, a temporary tattoo (free from a store sometime last summer), mechanical toys they got at a birthday party and forgot about, a roll of quarters (for video games and gumball machines), a tiny satsuma mandarin orange, a finger puppet and a pack of Annie’s bunny fruit snacks. The boys decided on their own that Santa had filled the stockings. which the boys had no interest in while G shoveled the heavy, wet snow. Good for building, bad for shoveling. Since the roads were bad we didn’t go out for Chinese, but instead made pepperoni pan pizza. G discovered that vodka makes the cooking process a lot easier. We had pumpkin whoopie pies for dessert, then watched Rudolph the Red Nosed Reindeer. At bed, the boys and I read several of our favorite Christmas books, the new Christmas Magic, beautifully illustrated by Jon Muth (Zen Shorts and Zen Ties), Mr. Willowby’s Christmas Tree, Olivia Helps with Christmas, Harvey Slumfenburger’s Christmas Present, and James Marshall’s The Night Before Christmas. Then we sang all the carols we know from Tomie DePaola’s Book of Christmas Carols, which we borrowed from the library for the fourth year in a row. Then G and I snuggled down on the couch to watch The Shop Around the Corner, which charms me anew every time I watch it. Is it perfect? I think it might be. Picking picture books for kids can be hit or miss–the art’s good, but the story’s not, or vice versa. The text is too simple, or too long for my 3- and 5yo boys. I like it; they don’t. Or worse, they demand it and I groan. Inwardly, usually. But we’ve had some good successes recently, which makes happy readers, and listeners of us all. Harry headed outside. He ate the flower bed. He ate the garden hose. He munched the mailbox! Salerno’s bio says he’s a graduate of Parsons School of Design. His design background is clear in this cool, funny, attractive book. David Lucas’ Robot and the Bluebird is more lovely than cool. A broken robot and a homeless bluebird become friends, and give each other things the other needs. It’s a timeless story, made fresh with Lucas’ sweet but not saccharine story and pictures. Leslie Patricelli is a longtime favorite in our house. 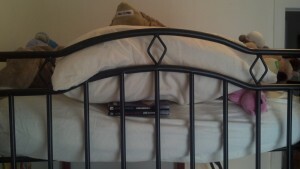 I’ve read her board books, like Quiet Loud, countless times, yet didn’t tire of them. Her new picture book, Higher! Higher!, is very like the board books. A girl goes to the park with her dad and asks him to push her on the swing. She goes higher and higher, and the illustrations show this fantasy taken to its nth degree. Loyal readers will recognize other Patricelli characters, like the baby and the dog. The book has only a handful of words beyond those of the title, but there’s much to see, and charm, in the acrylic-painted pages. Emily Gravett’s art, in The Odd Egg, is a fetching combination of pencil and watercolor. Duck’s lack of egg isn’t hard for a grownup reader to figure out; Duck’s a he, not a she. So he finds an egg–a big, beautiful speckled one. I won’t give away the ending. It’s a clever one, and funny. Duck’s not the one with the last laugh; it’s us, the readers. 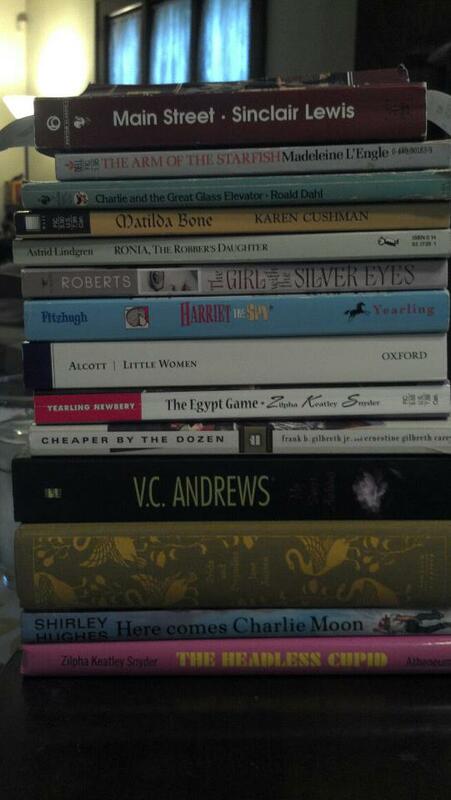 All the books above received multiple readings this week. I wonder if part of their appeal, both to the boys and to me, is that they’re by author/illustrators. In music I tend to favor singer/songwriters, and I suspect the same bias in many of the books we like. Sticky Burr: Adventures in Burrwood Forest by John Lechner, published by Candlewick Press, is another gem of a graphic novel-ish book for kids. I discovered it in the increasingly well-stocked shelves in the kids section at my comic store. Sticky is an iconoclast in the burr community. He doesn’t like to prickle, he prefers music and problem-solving, to the annoyance of his nemesis, Scurvy Burr. Scurvy tries to get Sticky kicked out of the village and wacky adventures ensue. Danger! Romance! Music! Heroics! Plus really cute art and laugh-out-loud moments. The art, humor and style reminded me pleasantly of the Doreen Cronin and Harry Bliss “Diary of” picture books: Worm, Spider and Fly. 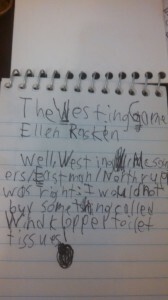 This was a joy to read, and was requested repeatedly by my sons 5yo Drake and 3yo Guppy. Good news! There are more Sticky Burr adventures online. Sticky has his own website, as does the author, John Lechner. 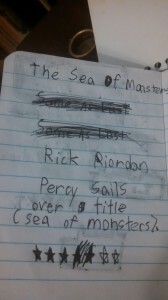 Also, a sequel is due this September! Otto’s Orange Day is another outstanding selection from Toon Books, a new line of graphic novel-ish books for kids. The line has solid artistic cred. It’s part of Little Lit, a division of RAW Junior, founded by Art Spiegelman, the creator of Maus. Otto’s Orange Day, with three chapters and forty pages, is about a kitten who learns the hard way to be careful what to wish for after his favorite aunt sends him a dusty lamp. The particulars, and their depictions, are funny and silly, even as there’s a hint of deeper, darker things that older kids might pick up on. And Otto bears more than a passing resemblance, both in looks and behavior, to another beloved comic character, Calvin. The book is available in both hard and soft cover. 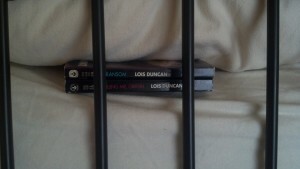 Both editions have thick paper, sturdy bindings, and attractive covers. My sons, 5yo Drake and 3yo Guppy, both loved this book and asked for it repeatedly, as they have with other Toon Books like Luke on the Loose and Stinky, which I wrote about previously. As a comic-book loving mom, I’m thrilled at the expanded selection of comics for kids, like the Toon Books.